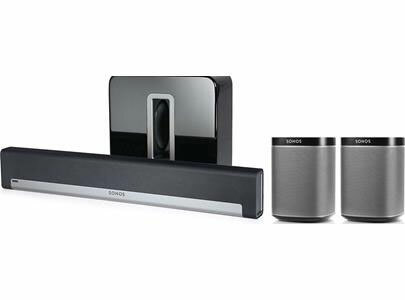 Turn your home into your own private concert hall with our highly rated Sonos product line. We will custom-design the ultimate entertainment system for you with instant access to endless music. Sonos gives you a world of music at your fingertips --on your smartphone and your computer. Play all the songs stored on your smartphone, tablet, PC or Mac. Tune in to thousands of free Internet radio stations and enjoy millions of songs and stations from the most popular online music services. It's simple because only Sonos makes it so easy to add music to your life. In one room, or many. Play the music you own or stream endless songs and stations from the internet. 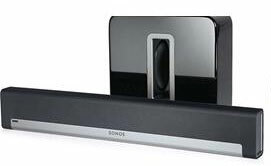 It's a wireless multi-room music system unlike any other. 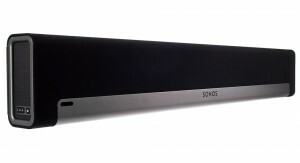 The Sonos soundbar amps up every movie, game and TV show with widescreen, 3-channel sound. You’ll hear the full range of sound effects and music from the left and right channels, and crisp, clear dialogue from the center. Nothing anchors your home theater audio like dynamic, highly detailed bass. With a PLAYBAR and SUB combo, you’ll experience each boom, crash, and rumble in all its thunderous glory. We’re talking full-on surround sound here. Total sonic immersion. Add a pair of PLAY:1s, PLAY:3s or PLAY:5s to PLAYBAR and SUB–suddenly you’re right in the center of the action with vivid sonic details coming from every direction.